The Week in iOS Apps: Round 'em up! The App Store offers so many new offerings each week—as well as updates of old favorites—that it can sometimes be difficult to track them all. That’s why we’re starting The Week in iOS Apps; it’s a chance to highlight some of the best offerings, as well as remind you of some of the apps that we’ve already called out during the week. 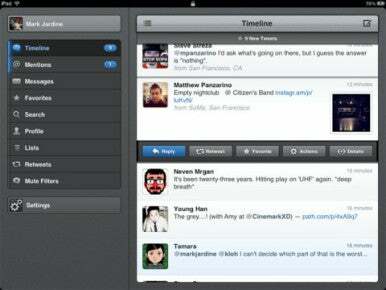 This week, of course, Tapbots released Tweetbot for iPad and updated its iPhone app. The iPad version sent our own Lex Friedman into throes of ecstasy, earning a rare five-mouse review from him. And on Thursday, Philip Michaels reported that Waze—the iPhone traffic-reporting application—has been updated with voice-control features that make it easier for drivers to use without endangering themselves. IWGuide: Once upon a time, television viewers kept track of their favorite shows with printed schedules that came in their Sunday paper—or, failing that, by purchasing actual “TV guides” at the grocery store. (Dark times, indeed.) Cable and satellite TV providers have long since made those schedules available on their very own channel, and the rise of DVRs and video on demand has made it less urgent to know exactly when your show is on. 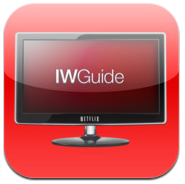 Still, there’s something reminiscent of the old guides in the new IWGUide for Netflix application for iPad. The free app is a magazine-style tracker of Netflx’s Instant Watch offerings—a roundup of new and recent releases on the service, a compilation of the best-rated shows, and warnings about titles that will soon disappear from Netflix. Pocket Informant: Macworld’s Lex Friedman once referred to the original Pocket Informant app, in a good way, as a “beast.” Second-generation versions of both the Pocket Informant and Pocket Informant HD apps only add to the feature-dense beastliness. The productivity apps already combine your calendar, tasks, notes, and contacts into a single app. The updates offer new views of the calendar, notes, and contacts. Users can now also link photos to their contacts, and the app has improved its syncing with Google’s calendar and task offerings. 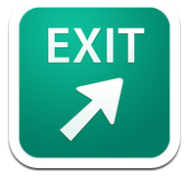 The user interface has also been updated with new “swipe to action” features to create events, tasks, and delete files. 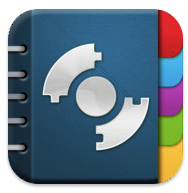 Pocket Informant costs $13; the iPad-only HD version is $15. Vonage Mobile: Skype just got a little competition. 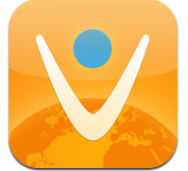 Vonage—one of the older online phone service companies—this week launched its own iOS app, Vonage Mobile. While it can be used on the iPhone, the app will be particularly attractive to iPad and iPod touch owners who can use those devices to make voice calls or send text—for free, if the person on the other end of the call is also using the Vonage Mobile app. (For a limited time, all domestic calls will also be free.) Calls to non-Vonage phones abroad come with a cost; credits can be purchased in the app in $5 and $10 increments. Though the actual calling rates vary depending on the country being called, the app itself is free. Where To? : This $3 app from Future Tap has been out for several years, attempting to improve on the Google Maps experience by letting tourists navigate new cities using augmented reality and in-app browsers to get more information about sites to see, restaurants to eat at, and driving directions to your destinations. This week’s update adds to the app’s multimedia offerings with more pictures of many destinations, and even some video for select listings. The developer also added integration with a number of other navigation apps, making it easier to get lost without actually getting lost. Also of interest: The app’s homepage viewer now supports landscape mode. 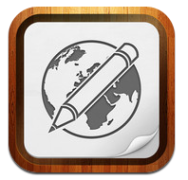 Writing Kit 3.0: When Macworld’s Dan Moren spent a few days working entirely on his iPad, Quang Anh Doh’s Writing Kit was one of his go-to apps for writing and editing in Markdown syntax. This week’s launch of Version 3.0 offers a number of improvements, including new gesture-based undo/redo commands to correct mistakes, a redesigned “file drawer” that makes it easier to store and find your writing projects, and Readability support. Writing Kit costs $5, and can be used on both the iPhone and iPad.